In the midst of planning this trip, which I totally did well in advance and not at all from my phone while in line to board the plane, I found myself looking at a map of London and honing in on a neighborhood near the London Bridge (which seems to be doing fine, contrary to what the song would have you believe). 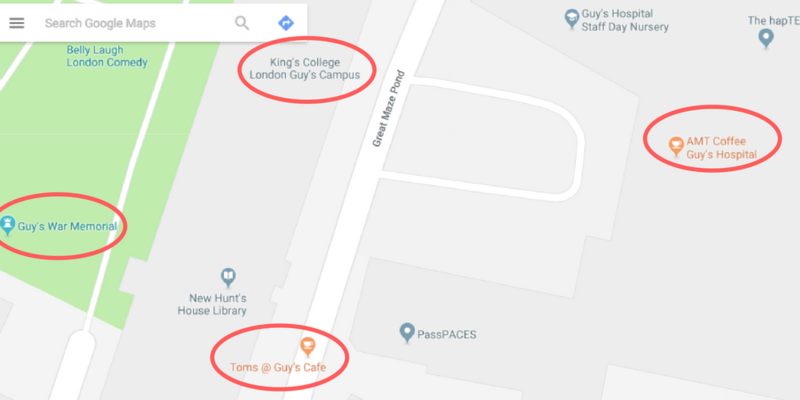 Guy’s Campus? Guy’s Cafe? 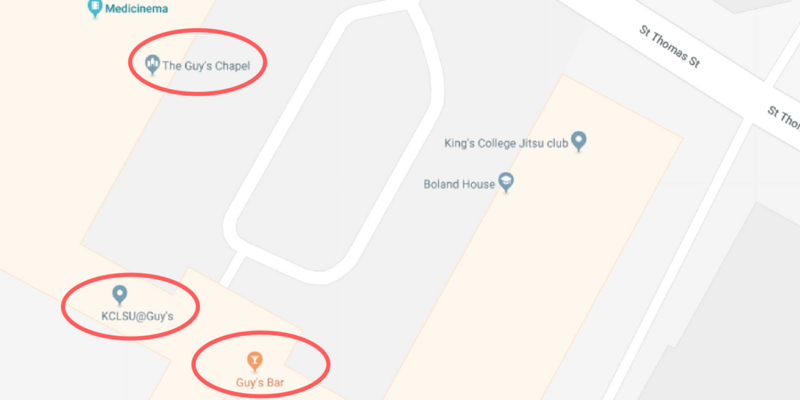 Guy’s Chapel? 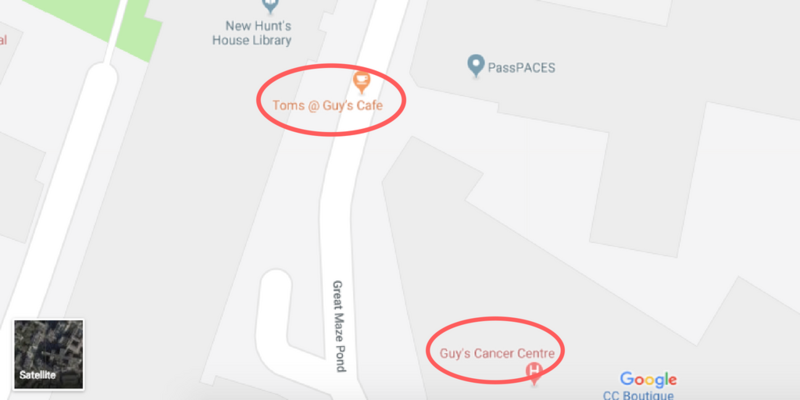 Guy’s Hospital? Guy’s Bar? What the heck? I found myself wondering – and oh yes, did I chuckle (out loud) (alone) when I heard it – who was THIS GUY???? Oh, the laughs I had. But I also wanted to know. So I first turned to Wikipedia, and what I read there left me only more intrigued, and also wondering if British English is getting further and further away from Normal English. Join me on a learning journey. A learney! The hospital was founded in 1721 by Thomas Guy, a publisher of unlicensed Bibles who had made a fortune in the South Sea Bubble. It was originally established as a hospital to treat “incurables” discharged from St Thomas’ Hospital. Guy had been a Governor and benefactor of St Thomas’ and his fellow Governors supported his intention by granting the south-side of St Thomas’ Street for a peppercorn rent for 999 years. Excuse me for being raised in America, but I have soooo many questions! Unlicensed Bibles! What are/were they. Is mine licensed? Could the South Sea Bubble possibly have been a soapy aquatic event, and if so, OMG. A hospital was created to take rejected patients from another hospital. Sounds cray, but remember when Facebook introduced the mini-newsfeed on our newsfeed and we were all fine with it? Why stop at 999 years, if we’re talking peppercorns anyway? We’ll get to all that, but it turns out that Thomas Guy is one of those complicated characters of history who did some pretty great things with money from bad things. As historians uncover a fuller picture of the lives of our cultural, political and scientific leaders, we’re seeing that it’s not so easy to place someone on a pedestal, or a monument for that matter. People are complex, and rarely sortable into “good” or “bad.” That appears to be true of this Guy. Anyway, back to the peppercorns. Guy grew up in the Southwark neighborhood that now bears his name all over everything. He became an apprentice to a bookseller at a young age, before opening up his own shop publishing and selling books. He saw an opportunity in the Bible market, which was overrun with poorly-printed English Bibles. He started importing better-printed Bibles and type from the Netherlands, and selling them for a London price. He made a lot of money this way, cutting a deal with the University of Oxford to print all their Bibles. One savvy investment often leads to another, and Guy took his money and put it in another promising economic venture: stocks. Most importantly, he bought £50,000 in the South Sea Company (that’s like at least a cool 8 milli today). And he MADE IT RAIN by getting out at a high, when his investment had grown nearly six times over to £250,000 (like 50 million in today’s pounds, although this peer-reviewed article says 400 million.) And that’s pounds, not dollars! It was a bubble, and Guy was floating on top of it, having gotten out before the crash. One small detail tainting this massive financial success: the South Sea Company had made (and then lost) its money through its participation in the Atlantic Slave Trade, moving mostly adult male Africans to Jamaica against their will, breaking up families, and enabling the imprisonment of a people. Guy got in, got out, and made a bunch of money. But all around him were poor people. 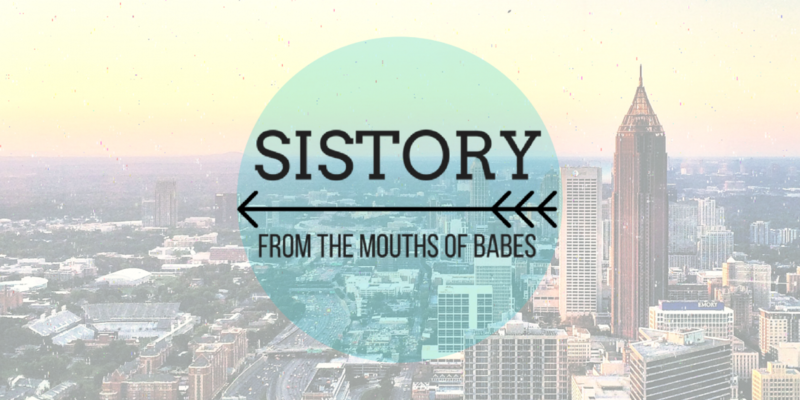 He first used his immense wealth to create a poorhouse for six women, which he maintained himself. He helped people get rid of their debts and get their businesses going, and helped folks getting discharged from nearby St. Thomas’ hospital with no one to pick them up. He even helped expand that hospital, adding three new wards. But that wasn’t going to be Guy’s Hospital. Guy’s Hospital, the hospital started by Guy himself, was for the truly needy — those the hospital couldn’t or wouldn’t treat. He wasted no time; having cashed out his stocks in 1720, he had a lease by 1721 (a 999-year lease, at that – likely the longest you could go). The man, or rather the Guy, was 77 years old, and he didn’t have time to spare. He got down to business Jimmy-Carter-style, and built his hospital across the street from St. Thomas’. The roof went on in 1724, the same year Guy died. I mean, what a guy, that Guy. And as for the peppercorn? That’s even weirder than it sounds. Under English law, if I’m going to gift you some real estate, you have to give me something in return, even if that is a token, like one peppercorn. So the term “peppercorn” is used when both parties want to conceal the amount paid, or consider the agreement equal even when it probably isn’t. 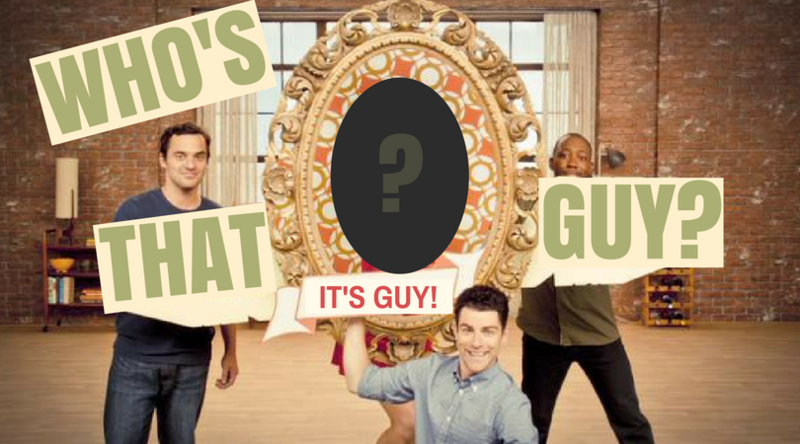 And it’s not just Guy. The University of Bath has a lease with the Bath City Council, and each year presents a peppercorn to the Chairman of the Council as rent payment.